Articles and posts related to ancestors (other than first generation immigrants), the areas they came from and/or the places they settled. Martha is the daughter of Joseph LeSaint and Mary Deubel. Joseph was the son of John LeSaint and the grandson of Franz LeSaint, who was …. If anyone knows the identity of the lady on the left, the lady behindBert or the man leaning on the fence, please reply below. Francis Albert Riehle was born on May 18, 1863, in Perintown, Ohio, son of Clemens Riehle, 29 and Cornelia (Mohr) Riehle, 27. He married Anna …. 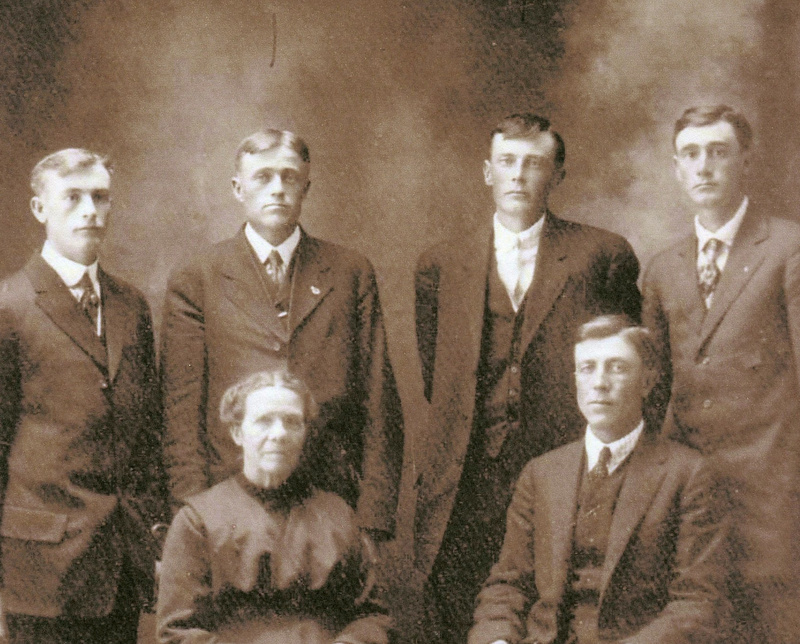 Post summarizes two email from Jim Riehle, descendent of Henry Riehle Here’s a picture of my grandfather Henry, standing on far right. His mother, Sophia, is …. Andrew F. Riehle was born in July 1859 in Morris, Indiana, son of Leonhard, and Magdelena (Voegele) Riehle. Leonhard had come to America with his ….